I haven't been updating this blog for a month already. Been taking it easy on the hobby during the Ramadhan month. Nonetheless, managed to cook up some project during the 'take it easy' period. 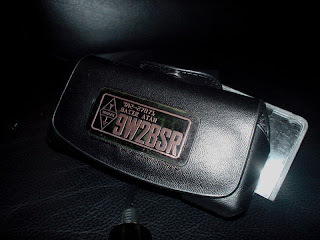 Pictured below is the homebrew battery eliminator for Yaesu VX-6R made for 9W2ZSH. It is the 2nd version which is able to deliver continuous 2A@7.4V. The first version burned up due to excessive current load on the switching power supply unit. 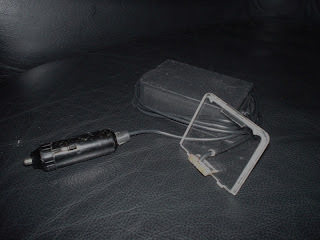 The clear plate is an acrylic piece to connect to the transceiver which is milled to the dimensions of the battery compartment. Nicely done there! Maybe you can try to choose a thicker copper and paint it before milling. When the paint is dried, shallow mill the copper..